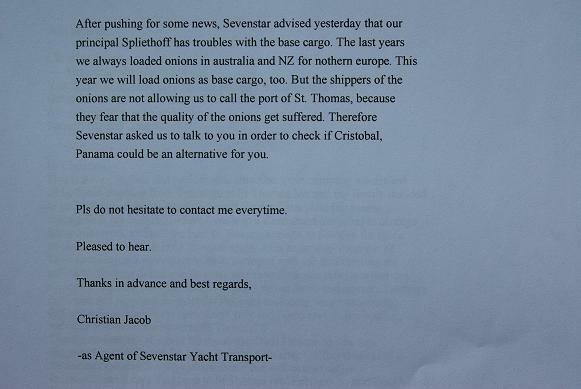 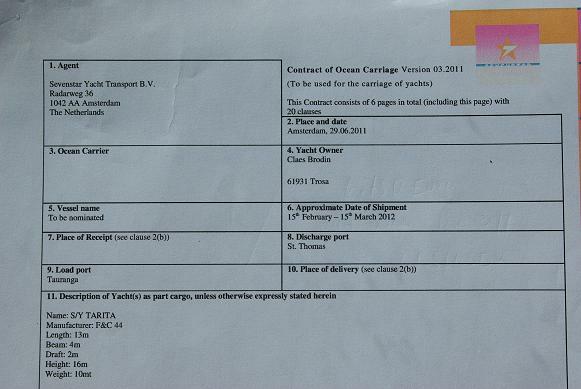 Having onions as basecargo customers in Europe advised our oceancarrier not o call into St Thomas in the tropics/Caribbean,and subsequently the advise to us was to be dropped off in Panama. 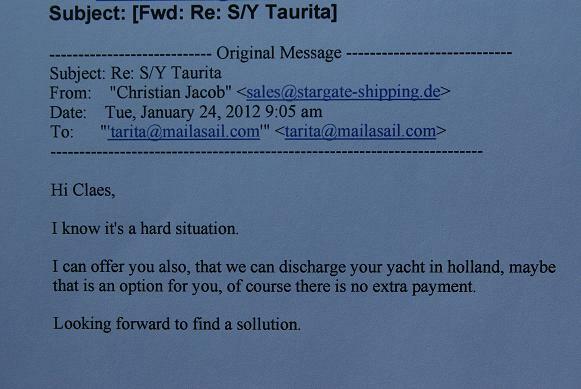 Being another 1500-2000Nm in headwinds,this is not an option for us.After negotiations Sevenstar took their responsability and Tarita will now be dropped off in Flushing(Vlissingen) in Holland,with same cirumstances as in orinal contract. 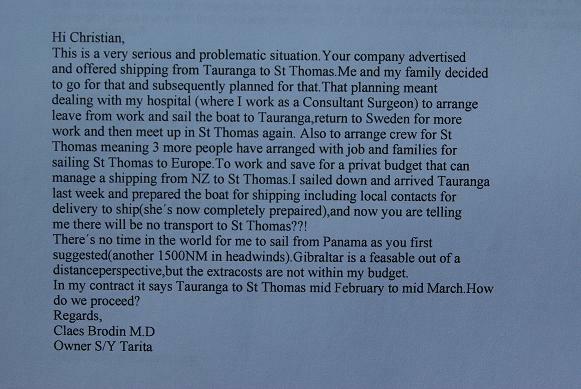 For good and for bad, there will be no Atlantic crossing( I would have liked to see the Azores again, but the lazy part of me is happy to avoid another ocean crossing).